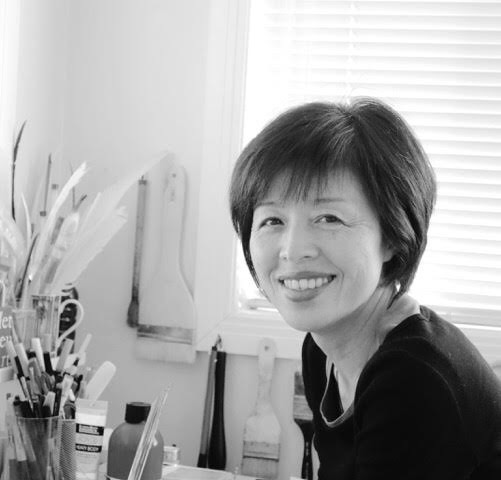 We are so excited to finally offer the opportunity to learn from this renowned calligrapher! Registration for workshops opens 8 weeks in advance of the workshop. Cost of the workshop is $145 with a $10 supply fee to be collected the first day of the workshop. Workshop is from 9:30 a.m.-4:30 p.m. both days. I have a passion for texture, especially textures from nature. After years of learning a variety of Roman letters, I discovered the beauty of each stroke, and the unique textures that result from writing them with rhythm, movement and harmony. In this workshop, we will experience the usage of tools as extensions of our hand. We will start by creating marks with different writing tools and different objects. Then we will design alphabets with those new marks to write our chosen texts in various ways. 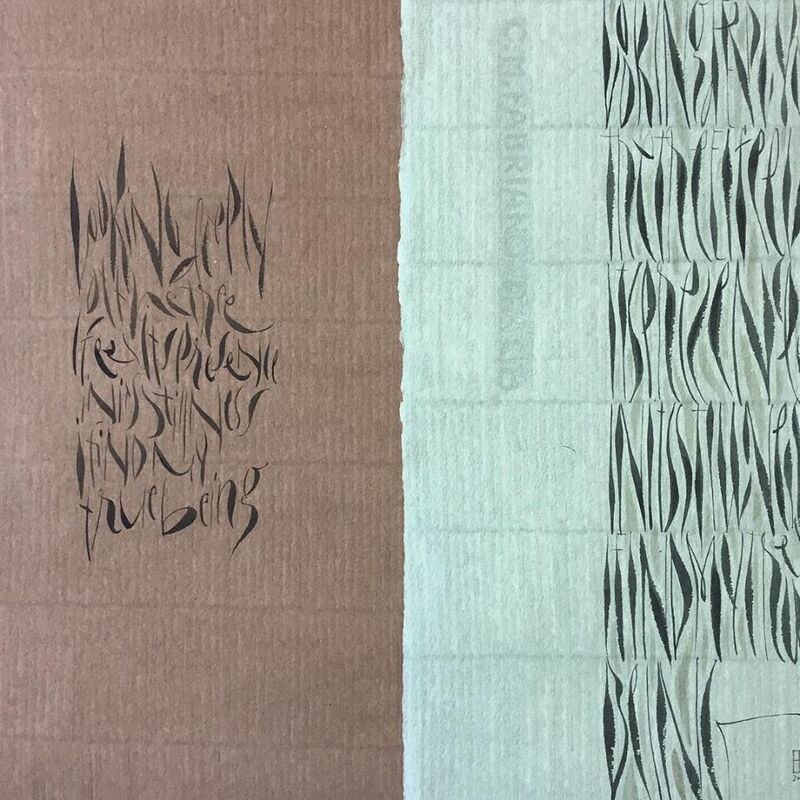 The textures we calligraphers make with strokes and marks have specific character. The order of strokes and marks to form letters and writing text with them are very systematic process, and we all express our feeling in the process. We’ve been patiently studying form, space, rhythm, proper medium and tools, design layout, composition and more while learning calligraphy. I believe our skill and experience will provide more possibilities to make original and unique textures. Study of layering, tones, basic design layout and composition, and use of line and space in Japanese calligraphy will be presented for making effective textures. All exercise sheets will be temporarily bound for further experiments. Tools from nature and found objects: seashells, stones, creepers, straw, pipe cleaner, etc. Yukimi will bring extra materials and the above tools and is happy to share them. *Please do not spend a fortune to buy new materials and tools that you are not sure to be useful. Yukimi Annand is a calligrapher and lettering and book artist based in Southern California. She grew up in Japan and has a background in visual communication design. 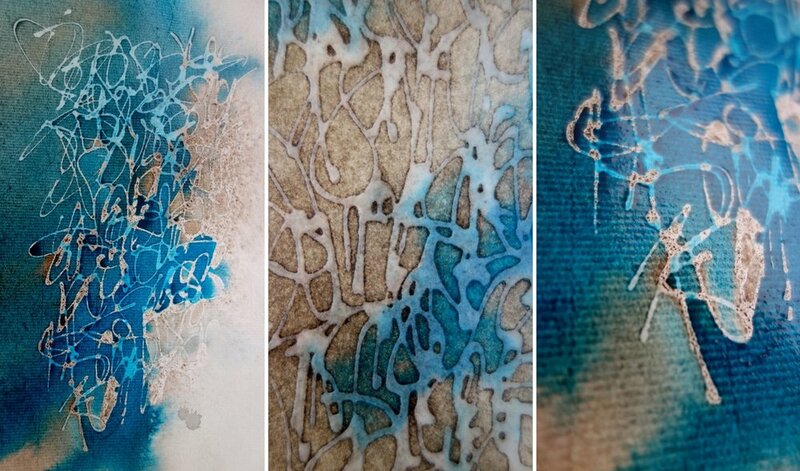 She is passionate about the beauty of the Roman alphabet and creates unique artwork with her love of calligraphic mark-making incorporated with nature. 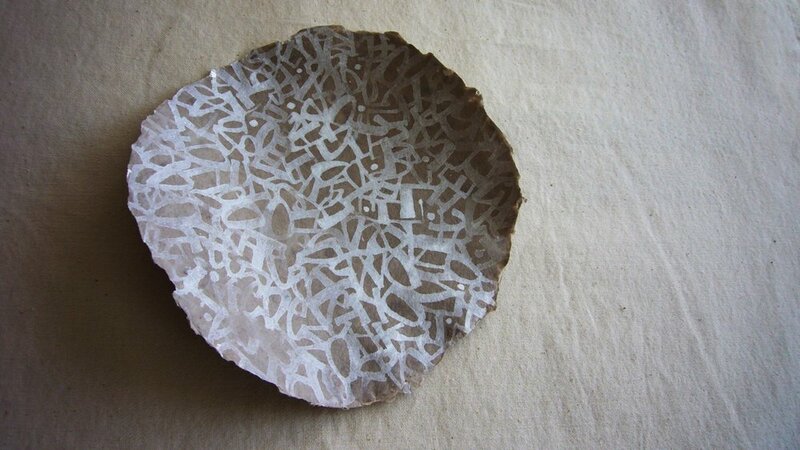 She has been experimenting with the usage of tools and mediums to expand her world of calligraphy. 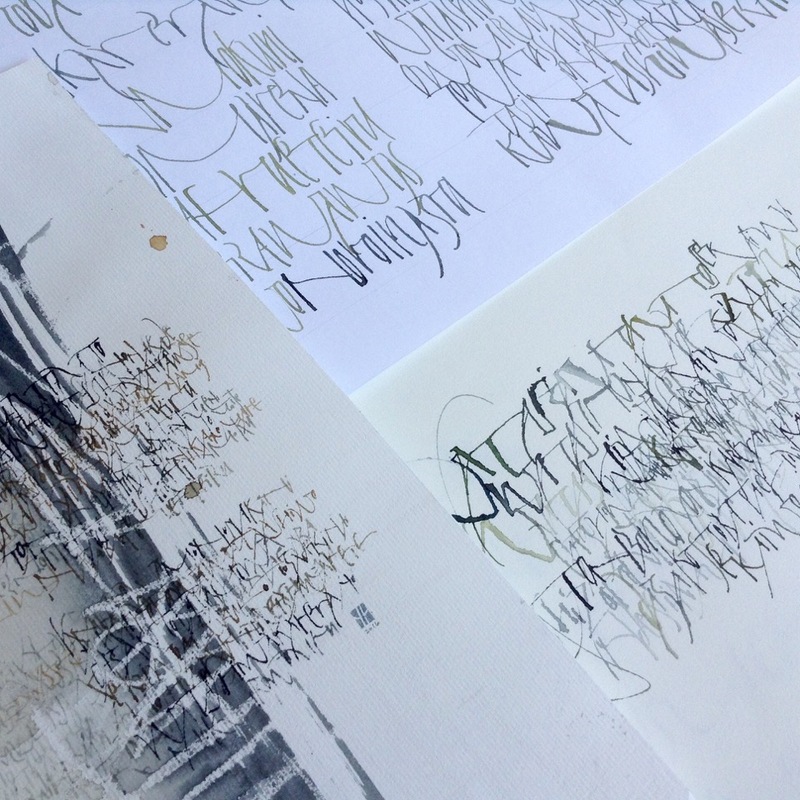 Her works have been exhibited in the US, Japan, Russia, and European countries, and have also been included in calligraphy collections in Berlin, San Francisco and Moscow.